The former pro surfer-turned-ag-documentarian tackles four areas of regenerative agriculture. 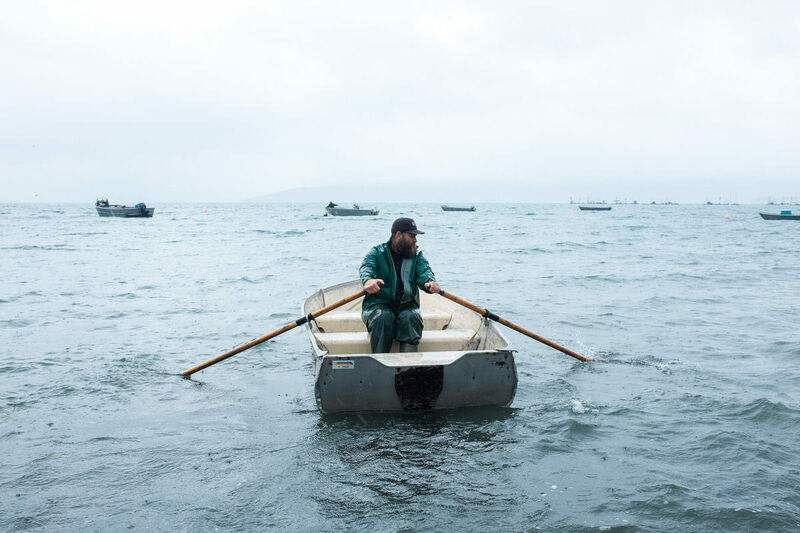 Chris Malloy off the coast of Lummi Island, Washington, during filming of Unbroken Ground. Malloy’s latest documentary is Unbroken Ground, which he made for Patagonia Provisions. 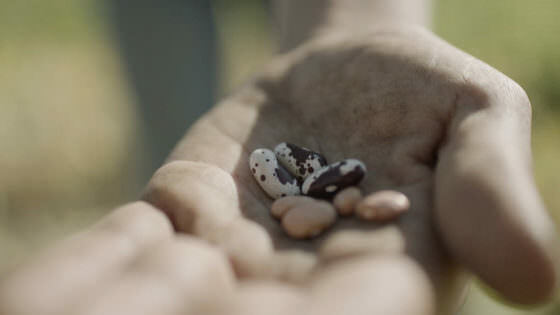 The 25-minute film, released today, looks at four innovative solutions to agricultural problems, through the lens of the thought leaders behind them: Wes Jackson of The Land Institute, who has been working on a perennial wheat variety that could greatly improve soil health; Stephen Jones, the director of Washington State University’s The Bread Lab, a combination think-tank and baking laboratory that produces grain and legume varieties for small U.S. farmers; Dan and Jill O’Brien, the owners of Cheyenne River Ranch, who switched to raising cattle to bison, which they believe is a more sustainable protein source; and Ian Kirouac, Keith Carpenter, and Riley Starks, the founders of Lummi Island Wild, who use reef netting – a more environmentally friendly technique – to catch salmon. Malloy, like his two younger brothers, Keith and Dan – who have also had storied surfing careers and are filmmakers – is a brand ambassador for the outdoor clothing and gear company Patagonia. He raises beef cattle on a ranch in Lompoc, California, where he lives with his wife and three kids. We recently caught up with Malloy via phone to ask him about filmmaking, ranching, and more. Modern Farmer: When did you begin making films? 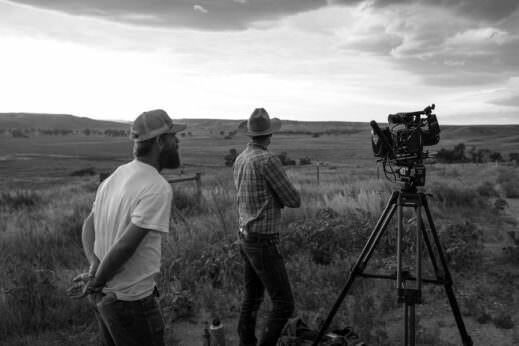 Chris Malloy and director of photography August Thurmer, shooting at Cheyenne River Ranch, South Dakota. David Burden. MF: How did you get into ranching? CM: I want to be super clear that while I run some cows and my wife grows a lot of food, I don’t make a living as a rancher, a farmer, or a fisherman. I do all those things out of passion and as a pursuit to feed my kids food that I’ve been involved in producing. I grew up having pigs, chickens, goats, and my dad grew some food, but he drove a dozer for a living. I think there’s a big delineation between folks who have a passion for growing food, and that special character who is crazy enough to make that their whole life. My wife and I dream of the day when we can do that full time. In the interim we get to feed our friends and family food that we’re really proud of. 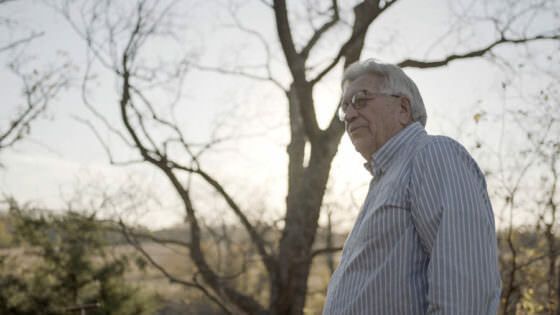 Wes Jackson, founder and president of The Land Institute, as seen in Unbroken Ground. 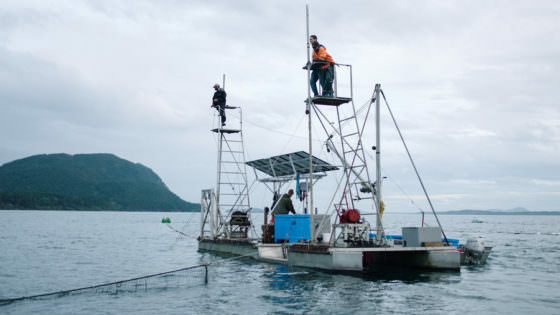 Spotters from Lummi Island Wild look for a school of salmon, as seen in Unbroken Ground. MF: Tell me a little about the film’s premise. CM: Farmers, ranchers, and fishermen are really demonized by our society. They’re seen as backwards and extractive. This film isn’t anti-farming, ranching, or fishing; it’s pro-farming, ranching, and fishing. It’s about alternatives that are financially viable so that the common man can feed his family – maybe not right now, but down the road. This film is not a victory lap, it’s a battle cry; it’s a report of where some visionary, half-crazy folks have gotten with offering an alternative vision for agriculture. Wes Jackson says if you’re trying to tackle a problem that you can fix in your lifetime, you’re not thinking big enough. MF: Did you find a common set of ideas or ideals, which all the characters in the film share? CM: All these people share a few things in common, but one is that they’re all a little crazy. They have a very educated hunch that they can supply a viable alternative to a specific area of agriculture, and they’ve dedicated their lives to it. This is about shifting agricultural systems worldwide. Wes Jackson says if you’re trying to tackle a problem that you can fix in your lifetime, you’re not thinking big enough. All of them have calloused hands and sunburned faces, but are also thinkers and philosophers, on some level. These people are doing it and have been doing it for decades. That, for me, was what made them collectively so inspiring to be around. Heirloom beans grown at The Bread Lab, as seen in Unbroken Ground. MF: What did you learn from making this film? CM: When I was interviewing Wes Jackson, a geneticist-philosopher with total recall, I was on the edge of my seat doing my damnedest to keep up. He was so fascinating. He wove philosophy and history and science together. I’d ask him a question about a specific seed and he’d say, “well, obviously, you’ve got to start with Dante’s Inferno” [laughs]. He’s so incredibly poetic and full of information, and [he] recognized agricultural problems that were going on before most people did. If he does accomplish creating a perennial wheat some say it will be the biggest shift in ag in 10,000 years. It was an honor to sit with that man.